is at the forefront of innovation in fall protection products. 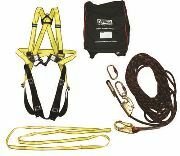 limiters we can assist you with all of your fall arrest needs. range of product from facilities in Mexico, China, Europe and the U.K.
MSA fall protection product range. space entry, rescue products, horizontal and vertical lifeline systems.